Testing The Spiderbeam 12m Telescopic Fiberglass Antenna Mast. Re: Testing The Spiderbeam 12m Telescopic Fiberglass Antenna Mast. The Spiderbeam is great and strong, but not for hiking, being too heavy in my opinion. I like a cheap telescopic pole, $15, you can buy six, LOL. True. Spiderbeam is expensive. Your 12m is also pretty long packed. Thought about how to carry it on my backpack, would surely be cumbersome! Thought about how to carry it on my backpack, would surely be cumbersome! How long is your fishing pole? 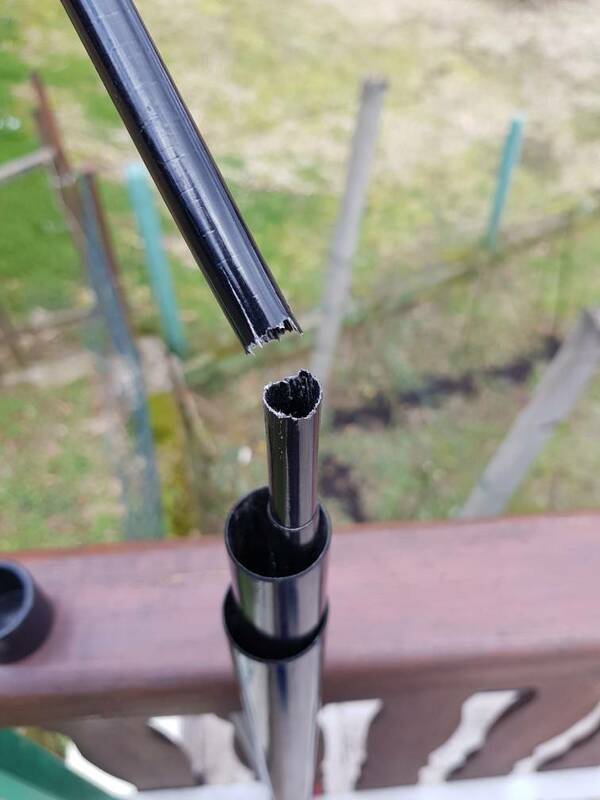 I sent my broken wimo mast back to wimo and see if I can claim warranty. Somehow 6 meters feels too short. How long is your fishing pole? I think it is 6m. It works very well down to 30m, and not so well on 40, but I have made contacts using CW. I would not bother trying SSB on 40m with a 6m wire. I'm sure it's possible, but only with very good conditions. 6m does work very well on 20m of course. Decathlon has fishing rods called "traveler" more compact than others. There is in 3,4,5 and 6m. 14,99€. The last piece os too much thin, I retired It. Spiderbeam HD 12m is a fabulous Rod for portable, not for hiking. I got my 6m pole at Decathlon! I just received an email from WIMO they will send me a new telescope mast. Wow, I am impressed. I can really recommend their shop and warranty handling.